Do you want to convert underused conference rooms into video-first, collaborative spaces? Zoom Rooms is your answer. And attending Zoomtopia breakout sessions will help make this a reality. Whether you have Zoom Rooms installed across your organization or are just getting started, we have sessions for you. Always Room for Zoom Rooms: Admin Training will teach you how to administer, scale, and manage Zoom Rooms throughout your organization. In this session you’ll hear from Vincent Escamilla, technical trainer at Zoom. During AV Integrator Bootcamp (2 hour session), Zoom’s Professional Services Team will discuss Zoom Rooms design and setup based on our standards for huddle, conference, boardroom, and training rooms. This session is perfect for AV integrators, consultants, designers, and installers and will be led by Nick Chong and Ty Buell from Zoom. At Zoom Rooms Hardware Bootcamp, learn about the hardware options and considerations when building Zoom Rooms for executive offices, huddle rooms, conference rooms, training rooms, and ideation spaces. In this session, you’ll hear from Tyler Buell, technical project manager at Zoom and an expert customer. Reimagining the Conference Room session will help you see all the innovation and collaboration possibilities for your spaces. For some modern offices, the traditional conference room no longer serves a purpose. What do you do with a space that’s no longer functional? 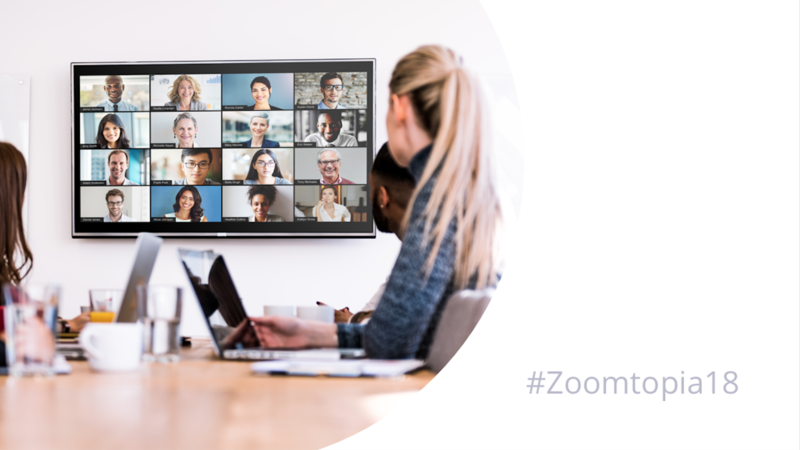 Learn how current Zoom customers have taken their traditional spaces and re-imagined what they could be in this introduction to Zoom Rooms. Join us in rethinking collaboration beyond traditional meeting spaces and use cases in the Pushing the Limits of Zoom Rooms session. We’ll explore creative Zoom Rooms deployments that enable compelling group collaboration across a variety of audiences and environments to meet business-critical needs. Zoom Rooms breakout sessions are just a part of Zoomtopia – there’s so much more to see. You’ll enjoy networking, entertainment, complimentary training, and happy hours. Be inspired by global thought leaders like Stephen Covey and Serena Williams, and cap it off with a performance by Macklemore!